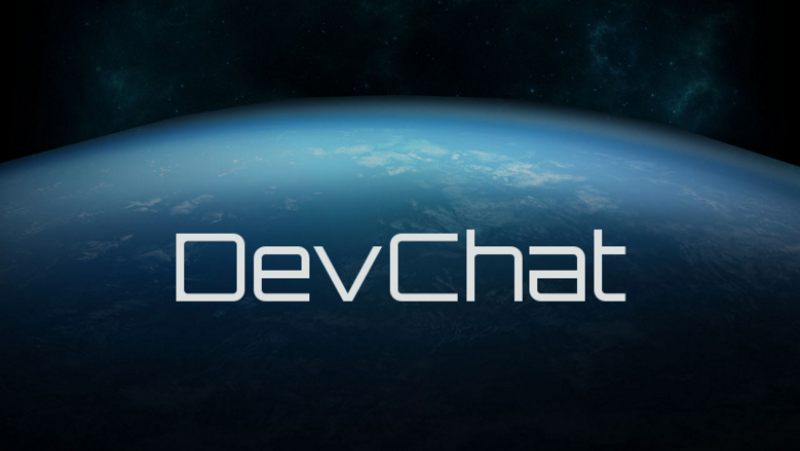 Welcome to the first occurrence of DevChat, a new feature here at The Relay! Before we begin, a brief explainer. CIG spend a lot of time talking on the RSI chat system. Many CIG devs will show up there, chat, hang out, answer questions, etc… DevChat combs through the RSI chat logs, and picks out any interesting comments made by Devs. It amalgamates them, and puts them here, with quotes. While I try to provide context to the comments made by Devs here, these comments sometime have a very off-the-cuff nature, and everything here should be taken, maybe not with a grain of salt, but for what it is. Interesting, helpful, though not always 100% official, information. We’ve noticed that a lot of good information comes out in those chat sessions, so The Relay has begun keeping track of the chat, and creating logs, and will now be doing a daily analysis of said logs. Any time there is information worth posting, you’ll find it here, on DevChat. This will likely not be a daily feature, but it should be pretty frequent, so keep checking back! On Monday, Will Leverett spent a good deal of time in chat asking about any issues people were having with the PTU, working before he even went in to work. By 10:30am, they had rebooted the servers, and most problems seemed fixed. There will be a fix to the Mustang infinite boost bug soon. (2:36:18 PM) CIG Calix Reneau: oh, hey! It’s monday! (2:36:22 PM) CIG Calix Reneau: Time to fix the hornet! (2:37:03 PM) Commander Kevin: Any chance we’ll see a fix to the Comstab bug and the Mustang infinite boos bug, too? (2:37:16 PM) CIG Calix Reneau: mustang boost, absolutely. The flight model in 1.1.5 PTU is not a new flight model, just a new pass at the numbers that drive the flight model. (5:52:55 PM) CIG Calix Reneau: the problem is that 1.1.5 is a new pass at the numbers that drive the flight model – but people talk about it like it’s a new flight model. (5:53:03 PM) CIG Calix Reneau: It’s not, it’s just a balance pass. All of the good information we found on the 21st came from Matt Sherman. Matt is working on Component updates, mapping out exactly what ships will get what, seeing exactly what is needed to get a first version of the components system out the door. (7:48:05 PM) CIG Matt Sherman: Mapping out exactly what ships will get what, seeing exactly what we’ll need to get a first version out the door. He’s not working so much on floorplans yet. A lot of the older ships will need to be reworked to have the visualization of the components be meaningful. They are, however, working on an interim solution to start running the system through its paces. (7:50:09 PM) CIG Matt Sherman: Not so much floorplans/etc yet. A lot of the older ships will need some rework to have the visualization of the components be meaningful, but we’re looking at an interim solution to start running the system through its paces. A Workbench would be done after the initial rollout of components, but it’s something they want to get online as soon after the update as possible. (7:50:30 PM) CIG Matt Sherman: Workbench would be after the initial rollout of components, but absolutely something I want to get online as soon after the update as possible. A big part of the update is making sure all the components / weapons are in a place to actually open them up, and having them use a cohesive system instead of abstract numbers. (7:51:05 PM) CIG Matt Sherman: A big part of the update is making sure all the components/weapons are in a place to actually open that up and be using a cohesive system instead of totally abstract numbers. The Merlin sale should be tied to 1.1.5’s release. (9:02:17 PM) CIG Matt Sherman: IIRC, Merlin sale would be tied to 1.1.5’s release, not so much locked to a specific day. (9:04:12 PM) StressedOutCat: have they said if you can put the m50 inside the conny instead of the p-72 or p52? (9:09:22 PM) CIG Matt Sherman: @Stressed: No, the Connie dock is built around the Merlin/Archimedes, in part because RSI helped Kreuger with them. Plus, the M50 is a full-size ship and has Q/J drive capability where the other snubs don’t. The plan is to let either the Merlin or the Archimedes dock to the same port. (9:11:00 PM) CIG Matt Sherman: Yes, the plan is to let either the Merlin or Archimedes dock to the same port. 0.2c is basically the Quantum drive speed, and will be the straight-line in-system high speed. Jump drives would be faster than 0.2c, but have the requirement of needing to pass through a stable Jump Point. (9:45:02 PM) CIG Matt Sherman: The whole 0.2c is basically the Quantum Drive speed and be the straight-line in-system high speed. Jump-Drives would technically be faster than 0.2c iirc, but with the requirement of needing to pass through a stable Jump Point. Also, in the grand scheme, the distance from Earth to Moon won’t be that great compared to the rest of the Universe. (9:50:55 PM) CIG Matt Sherman: Also, in the grand-scheme, the distance from Earth to Moon won’t be that great compared to the rest of the universe. In response to a question, Matt says that Salvage is a feature for down the road in the PU, and, while planned, it has not been implemented yet. (3:07:44 PM) The Nuclear Soldier: Another question from a newly enlisted: Can you salvage ships? (3:08:00 PM) CIG Matt Sherman: Salvage is a more down-the-road feature for the PU. It’s planned, but not implemented. Procedural generation will start initially as procedurally generated encounters and asteroid fields. Full-out procedural map generation is something that is a long ways out, as there are plenty of other systems that still need to be built out first. Realistically, the people working on procedural systems are not working just on those systems. They’re part of the general gameplay/engineering teams that help build the whole game as well. (3:30:58 PM) CIG Matt Sherman: Procedural stuff is going to be more handled as needed type things. Initially, expect to see it more in procedurally generated encounters and probably asteroid fields. Full out procedural map generation is not something that’d happen for a fair ways out since we have plenty of other systems that need to be built out. (3:34:15 PM) CIG Matt Sherman: Realistically, it’s probably not going to be that the guys working on procedural systems are JUST on that. They’d be part of the general gameplay/engineering teams that help build up the whole game. Tracking angles on missiles were drastically reduced in the 1.1.5 PTU patch. CS missiles are still hard to avoid, as normal evasive actions for IR/EM missiles don’t work as well on them. (4:50:47 PM) CIG Matt Sherman: Tracking angles on all the missles were drasitcally reduced in the patch, so if you’re evading and getting hit, you’re still in the splash-damage radius. (4:52:50 PM) CIG Matt Sherman: CS missiles are definitely still tricky to avoid just because normal evasive actions for IR/EM missiles won’t work as well. Like if the missile is coming at you, pitching up/down or rolling turns are going to expose a much bigger target for the missile ot lock onto.